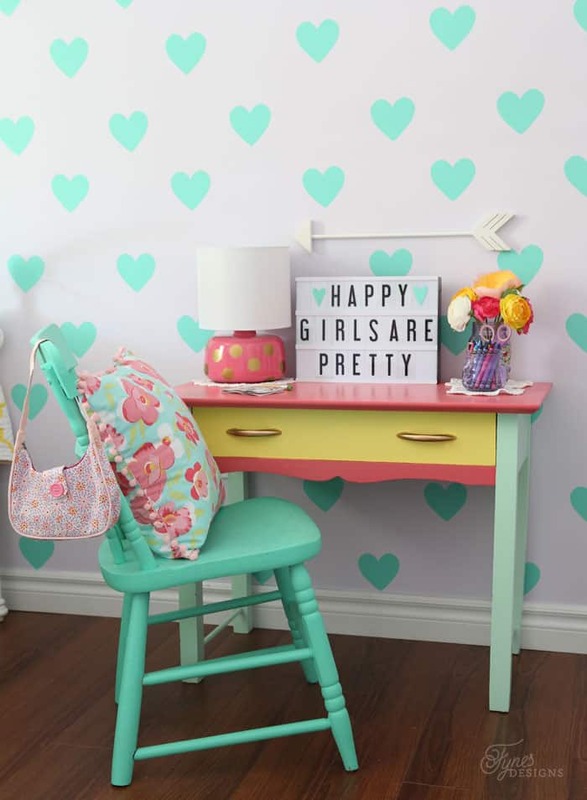 Girls Bedroom Decor- A Fresh Makeover - The Co. 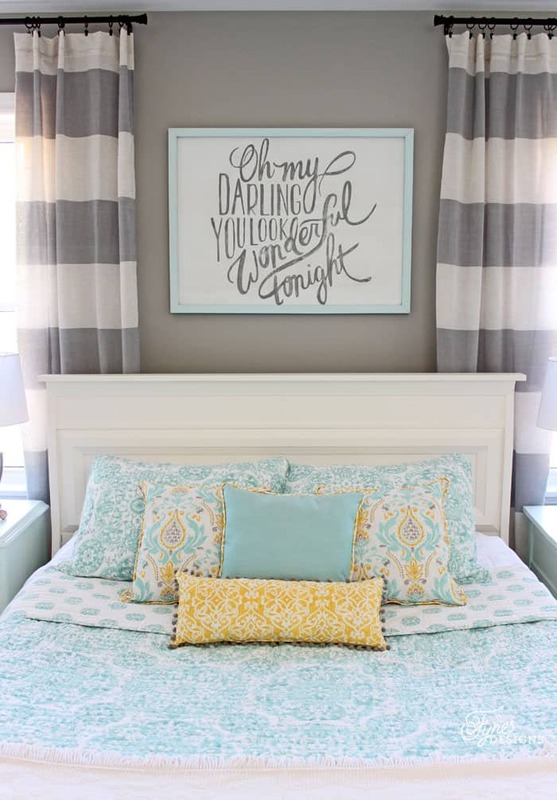 This girls bedroom decor was actually a long time in the making. I started doing the painting back at the end of September, but that same week our house got broken into, and it threw a wrench into the plan. Then it seemed I was right into holiday planning and the bedroom got put together but with a Christmas spin. 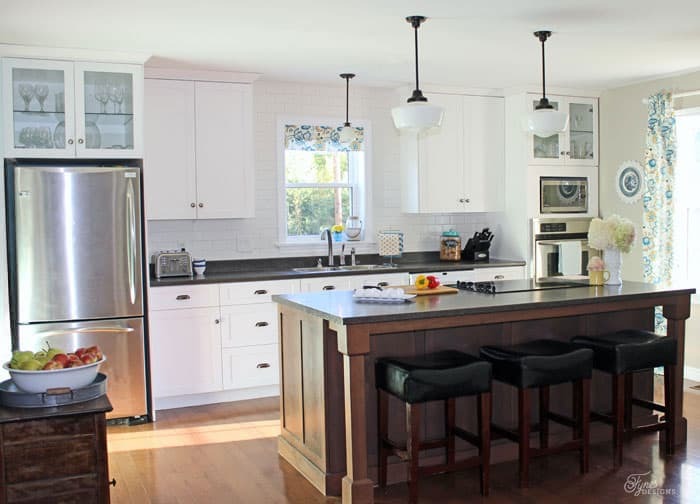 Then I was faced with the tough decision to give a sneak peek of the space (which you would have seen in the Holiday Home Tour) with it not being together quite as I imagined. 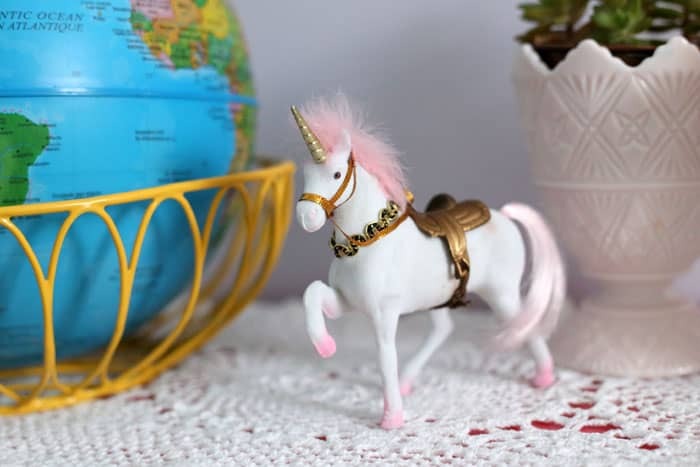 Now that the holidays have passed and we are back on track, I’m so pleased to share my favourite room in the house, have a look at my little girls bedroom decor! 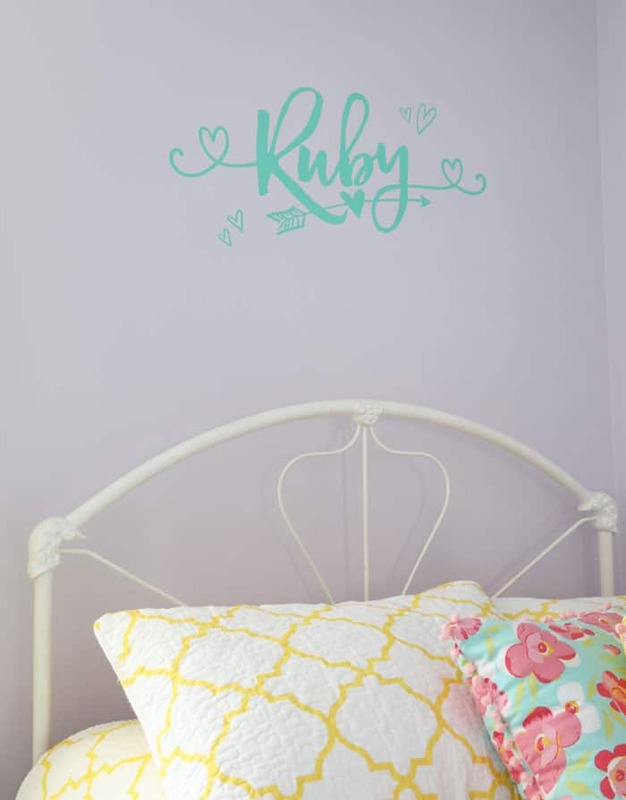 The decor started out with me letting Ruby choose her own paint color. She instantly grabbed the cards for Velvet Scarf and Tropical Tide and without a second guess our color scheme was born! 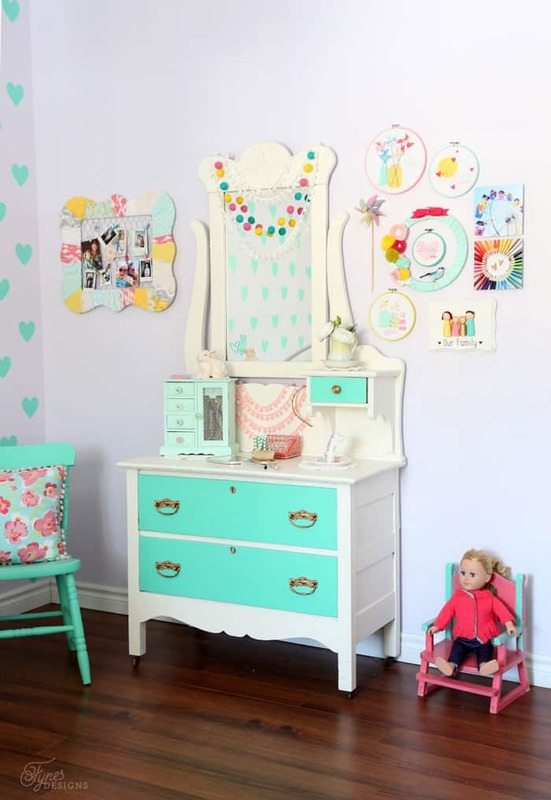 When I learned my favourite vinyl company (Expressions Vinyl ) carried the identical color of removable indoor vinyl to tropical tide I knew I could easily bring her vision of a ‘heart room’ to life! I went back and forth on what to put above her bed, but I like the flexibility of being able to remove the vinyl if another idea strikes me. 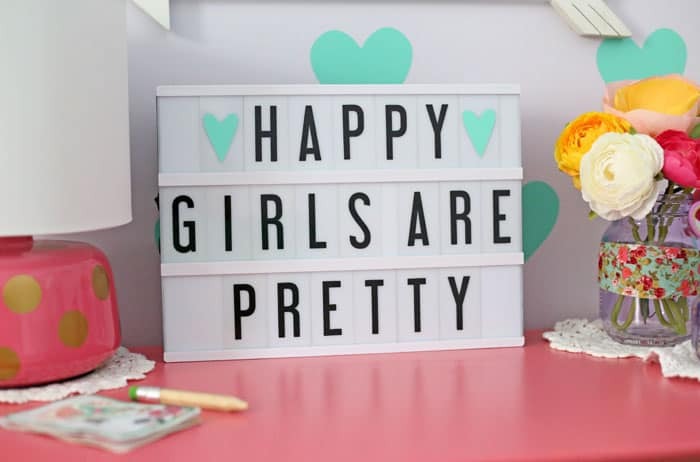 The Hello Sunshine font I used to create the custom name is one of my new favourites! 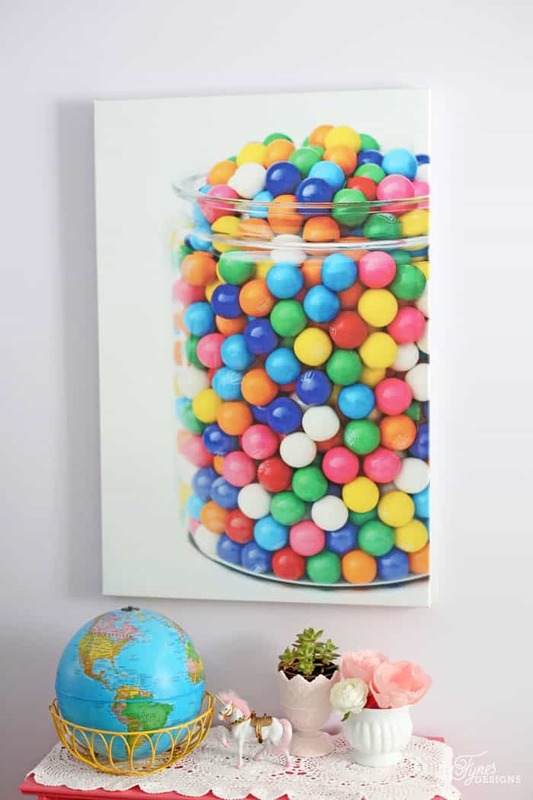 My absolute favourite thing in this room (maybe even in the whole house) is this giant bubble gum print! I took the photo at our local gas station and had it printed though Shutterfly. They have so many options for making your photos into stunning art! You can’t tell me this doesn’t make you smile! 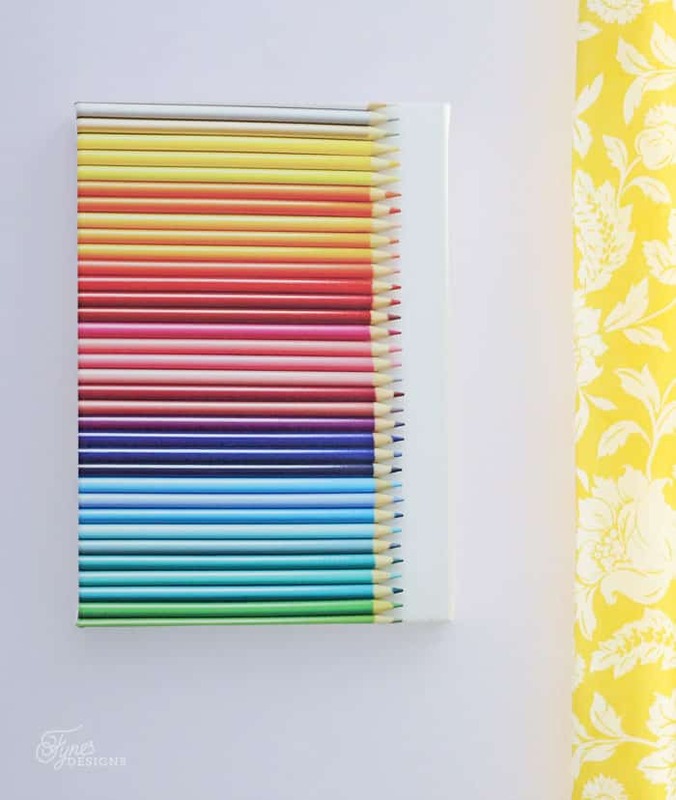 In addition to the bubble gum, I also bought a brand new box of pencil crayons to photograph, and had the image printed on a canvas. Somethings so simple can really make a great piece of art work! 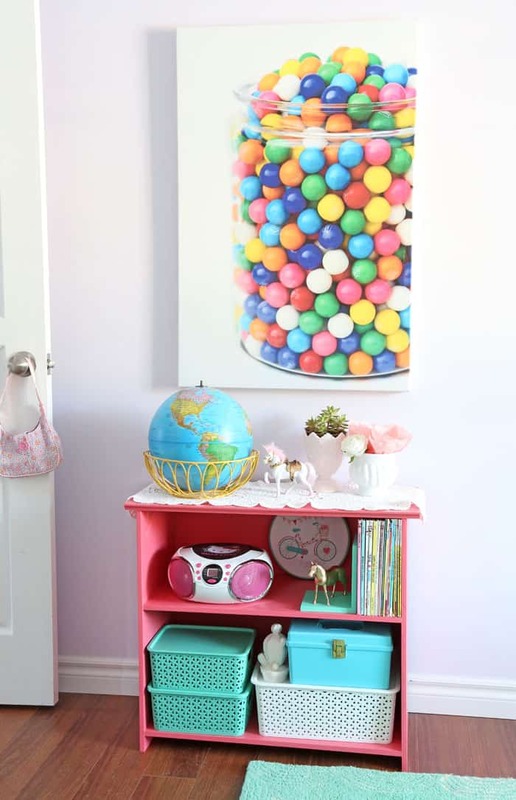 Keeping with the bright and colorful theme of this little girls room, I had two small metal prints made from other photos I had taken. 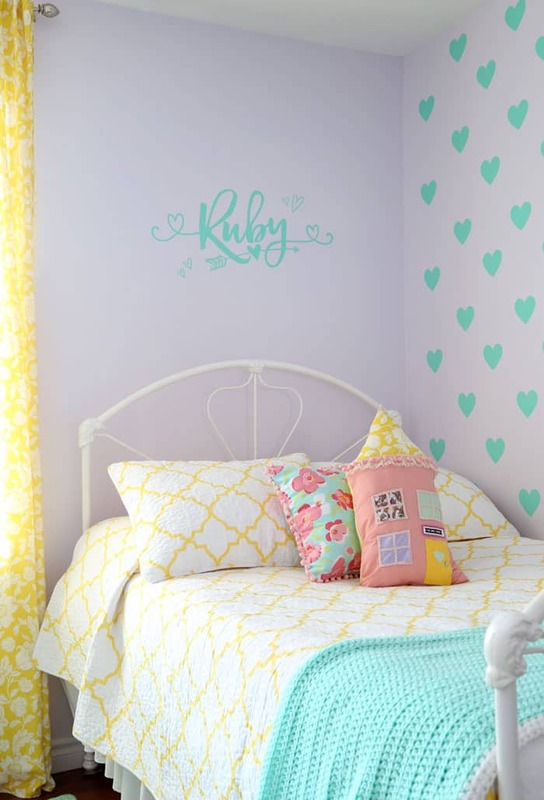 Shutterfly has some amazing wall art options when it comes to filling your walls. I love how vibrant the colors are, very true to the original image. 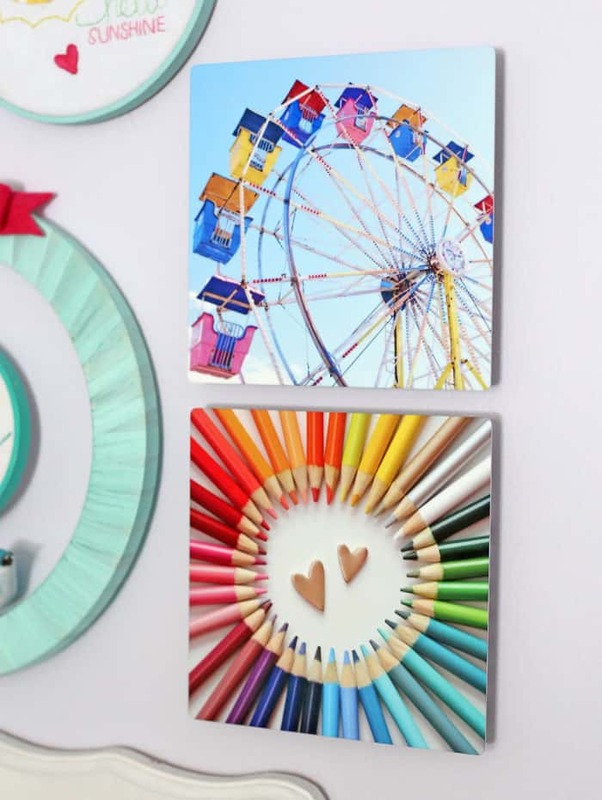 The little prints fit perfectly in this hoop art gallery. 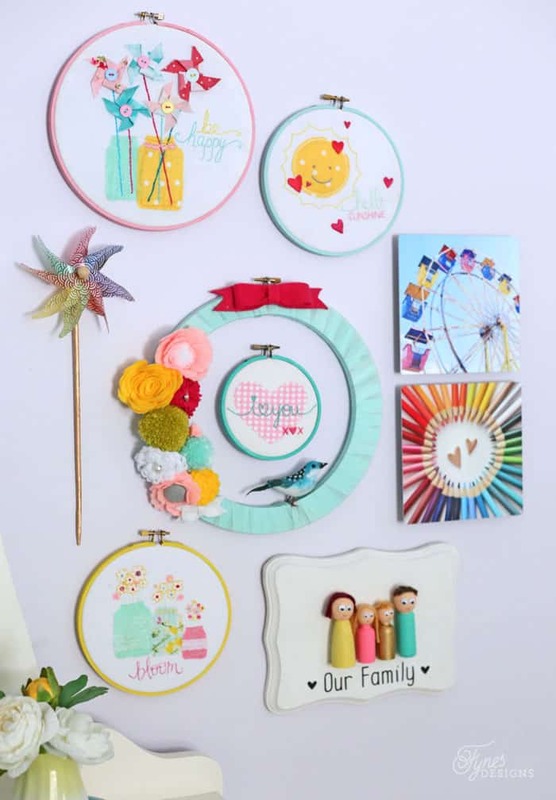 Check out my hoop art kit on 50% off at Jo-Ann right now! Ruby is so proud to have a place to display her family plaque she made (learn how your little one can make one here). I actually hadn’t planned on making a gallery, it just happened. I’m so glad to finally get a few of my projects out of the craft room and up on the wall! 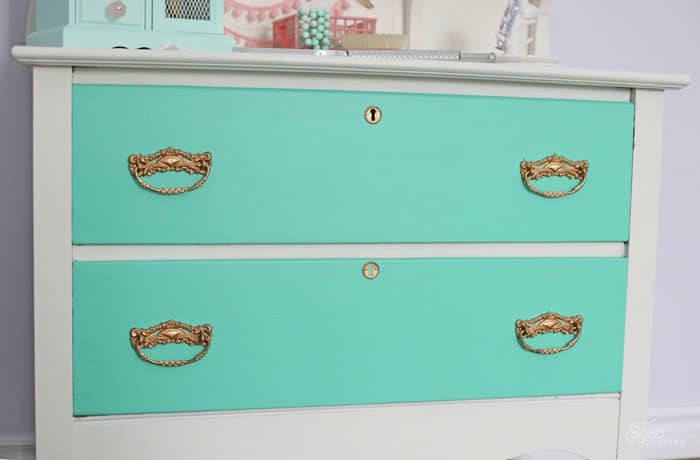 Then there is the dresser. I love this piece, it actually sat in my garage for the best part of a year before I painted it. I’m so glad I got up the courage to, because I loooooove it! 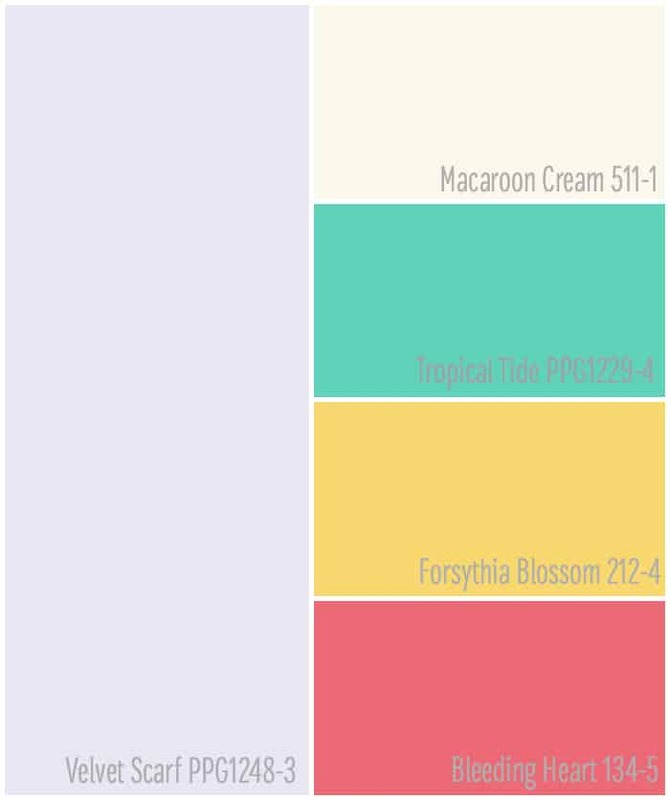 The Tropical Tide and Macaroon Cream look so sharp together. I kept the original hardware, I just sprayed it gold, and had to replace the mirror. 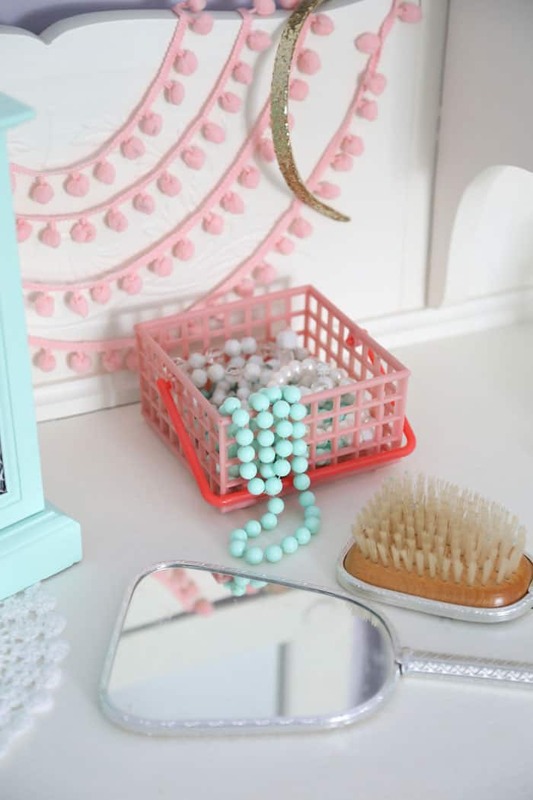 This dresser is the perfect place for all her jewels. 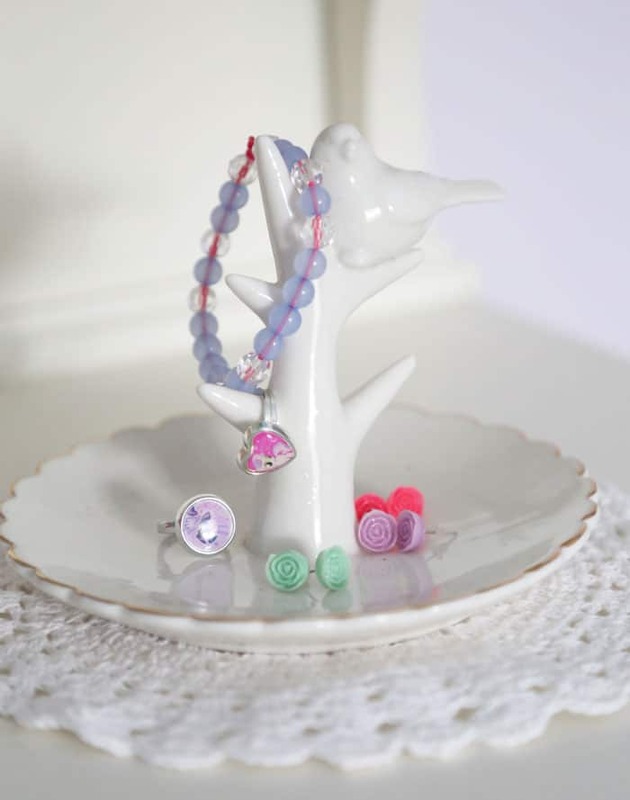 Her 80’s jewelry box, never looked so good. See the transformation here. A lick of paint and some new knobs from D. Lawless Hardware, and you’re golden! I went a bit crazy with doilies in her room. I would have killed my mother if she froofed it all up when I was her age #whathappenedtome? 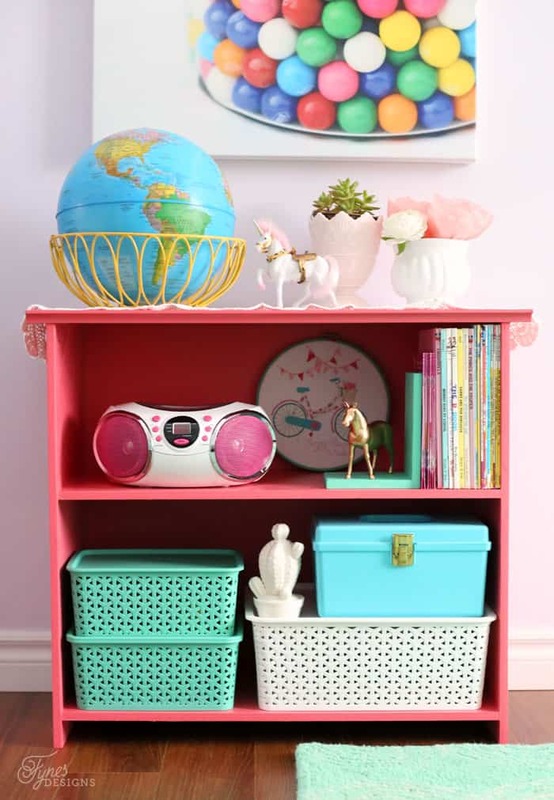 Moving on to the little homework nook… prepare yourself for color overload! Isn’t it fun!! I managed to cram 6 different paint colors into one shot! Check out below for all the colors used! Plus I love this new light box so much, seriously the funnest thing! The kids have spent hours rifling through the letters and emoticons making up crazy words. If you have to get your hands on one of these bad boys from My Cinema Light Box, be sure to use the code FYNES10 for a sweet discount! 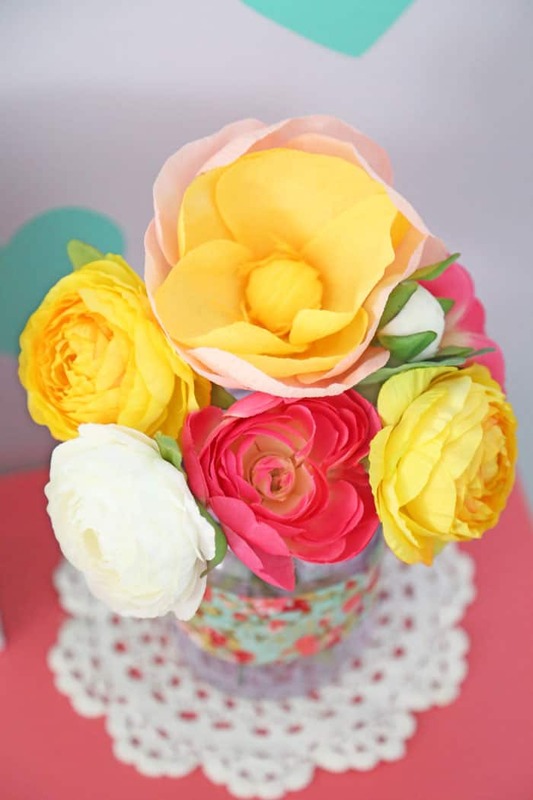 Not only did I cram a lot of paint colors into this room, you may spot a few Crafternoon projects; like this Crepe Paper Flower Kit from Craftberry Bush, The House Pillow from Be Crafty, and the Felted Ball Garland hanging from the bureau. 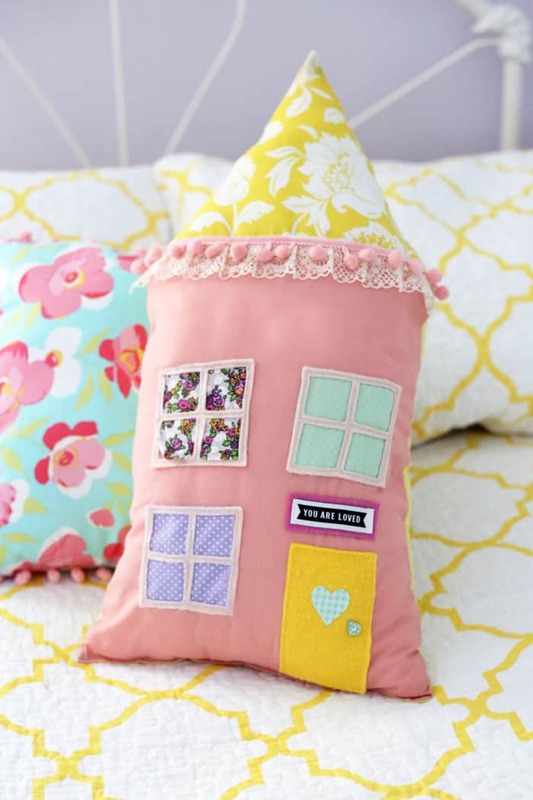 Ruby absolutely loves this Be Crafty house pillow, she treats it like a teddy bear! Her “new” bed, was actually mine when I was growing up. It has been passed on and on, my Dad (who is in his 80’s) used to sleep in this very bed as a child. Let me tell you, finding sheets is nearly impossible! 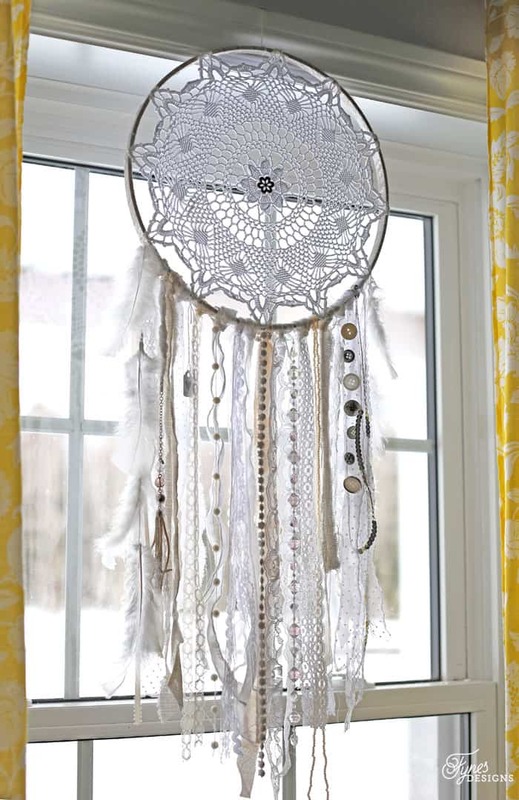 I picked up this beautiful dream catcher made by Cassie Doucette at a local fair, I love how whimsical it is, and Ruby is convinced its doing its job! 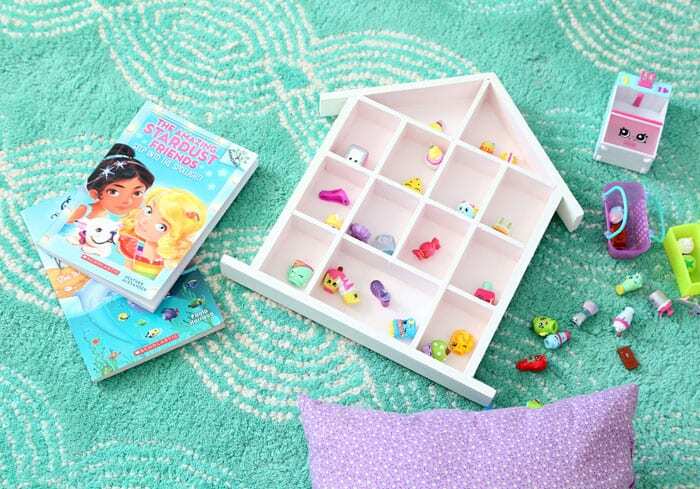 Her little bookcase was a last minute decision. Luckily I had all the supplies in the basement and was able to whip it together a few nights ago, the space just looked so empty, and she was in need of a little bit of storage (inside her closet has shelves too, but her trikety toys are taking over). I’m so happy with how it came together, the Bleeding Heart pink color really makes it POP! 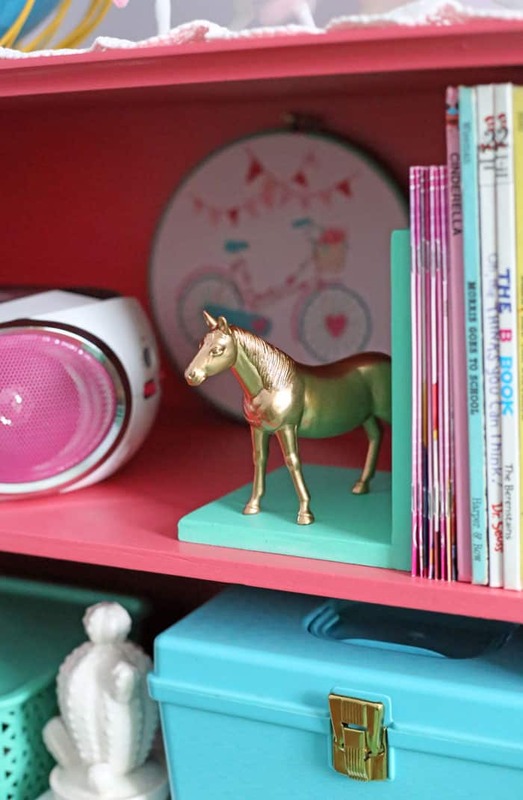 And where there is a book case there are books who need a golden steed bookend. Thank-you forgotten dollar store plastic horse, you have met your fate… and the gold spray paint. 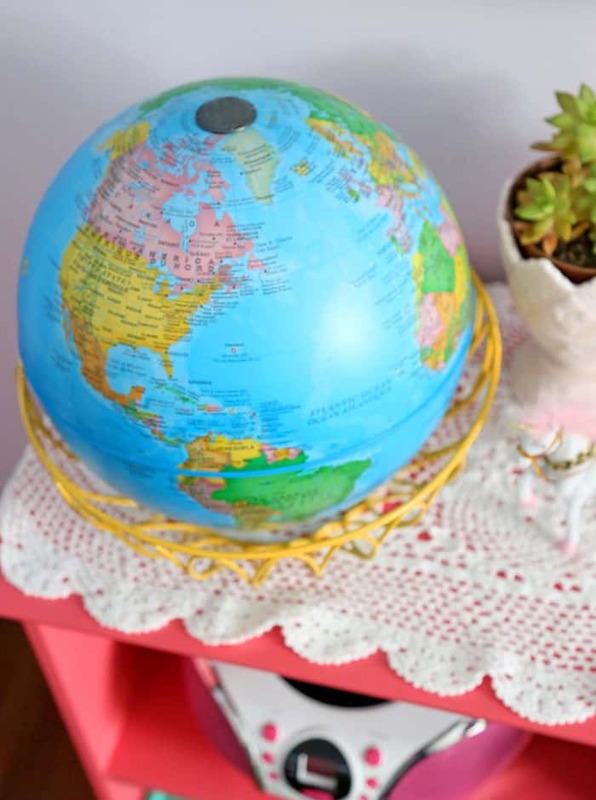 and of course globes, we must throw one of those in the shot! 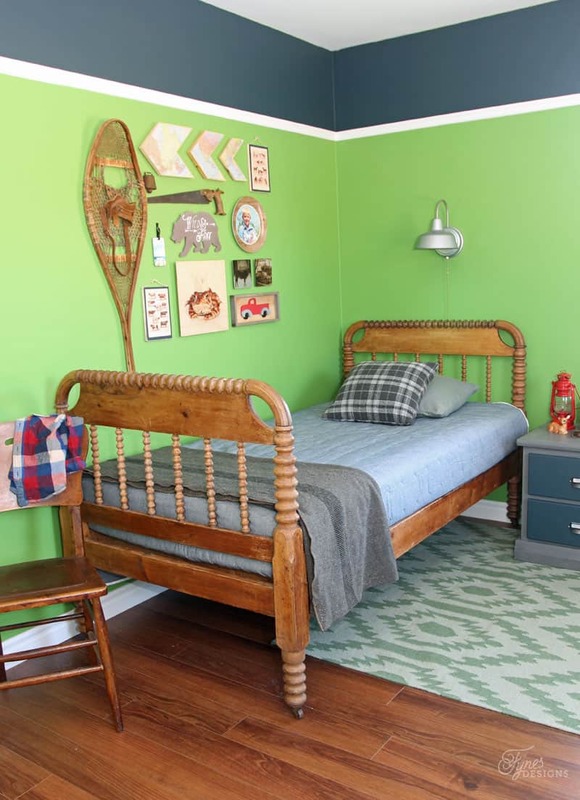 Lets talk about the rug; this teal number is from Rugs USA it is the softest squishiest rug I have ever stepped foot on, the kids play here most often. I so happy how this space came together, its like a beam of light coming from there as you walk down the hallway. Now we just need to work on keeping it this tidy! Disclosure: I am a Voice of Color ambassador, this post has been sponsored by PPG. I use this paint brand because I truly love the product. As always, all ideas, decor/ design, and opinions are honest and 100% my own. 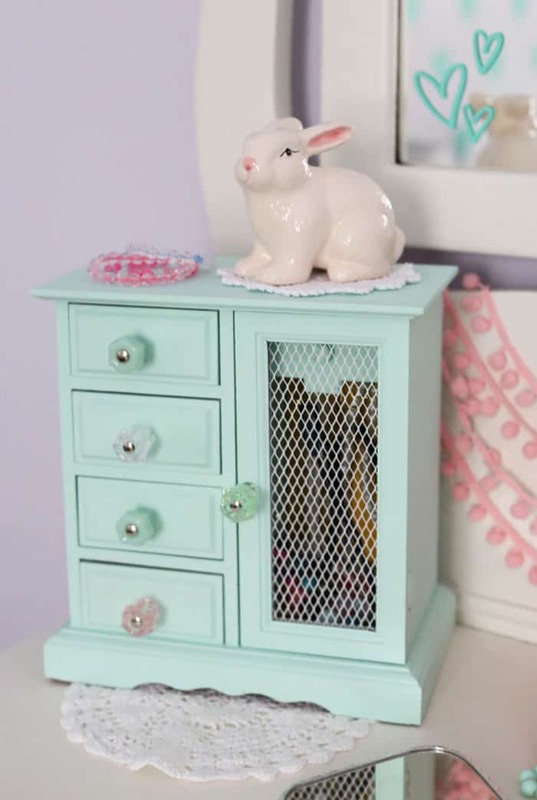 This is an excerpt from the article Girls Bedroom Decor- A Fresh Makeover which originally appeared on http://www.fynesdesigns.com/.